This first course in the career field is an introduction to Agricultural and Environmental Systems. Students will be introduced to the scope of the Agricultural and Environmental Systems career field. They will examine principles of food science, natural resource management, animal science & management, plant & horticultural science, power technology, woodworking, welding and bioscience. Students will examine the FFA organization and Supervised Agricultural Experience programs. Throughout the course, students will develop communication, leadership and business skills essential to the agriculture industry. Students will apply knowledge of animal and plant science to the agriculture industry. They will be introduced to the value of production animals relative to the agricultural marketplace. Students will engage in animal classification and selection, body systems, along with animal welfare and behavior in relation to the production of animals. Live animals will be used to help teach these subjects. Students will also learn principles of plant anatomy and physiology, and the role of nutrition, deficiencies and growing environment on plant production. The school greenhouse will be used to raise bedding plants and vegetables for class labs and a flower sale. Basic floral design will also be covered. Throughout the course, business principles and professional skills will be examined. This course may be taken toward fulfillment of the 3rd credit of Science required for graduation. Students will engage in the mechanical principles utilized in animal and plant production systems. 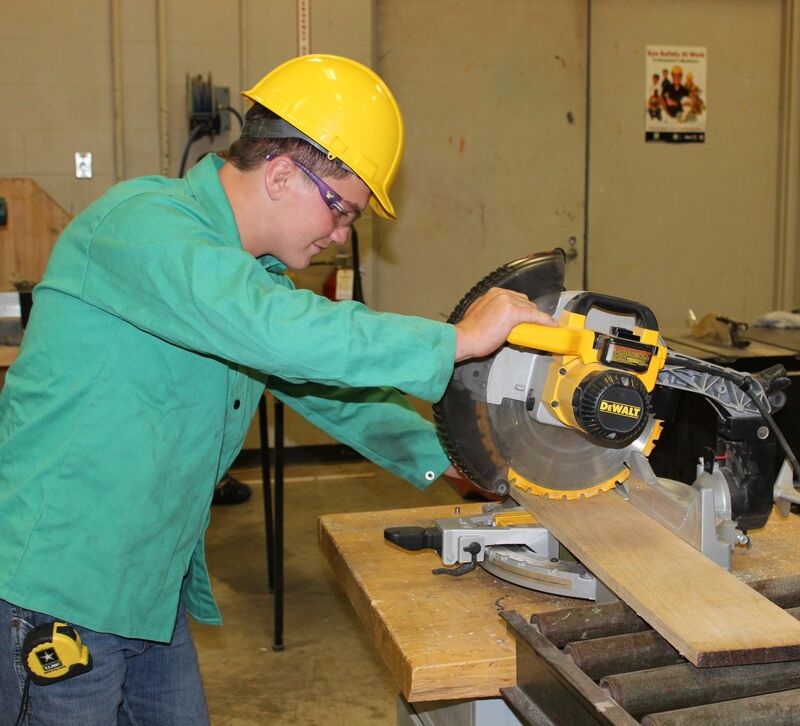 This class focuses on construction skills in both metal and wood materials. Students will build small projects individually and one large class project. Topics include electrical theory, design, wiring, hydraulic and pneumatic theory, along with metallurgy in relation to hot and cold metals. Students will apply knowledge of sheet metal fabrication applicable to the agricultural industry along with identify, diagnose, and maintain small air‐cooled engines. Throughout the course, students will learn critical components of site and personal safety as well as communication and leadership skills. This course may be taken toward fulfillment of the 3rd credit of Science required for graduation. Students will learn the operational practices needed for the successful growth of nursery stock and/or greenhouse plants. They will learn essential greenhouse practices including water and fertilizer distribution, lighting, ventilation and temperature control. Students will learn pest and disease identification and control along with bio‐security practices. Students will demonstrate knowledge of propagation methods, plant health, nutrition, and growth stimulation. Throughout this course, business and employability skills will be emphasized. Students will also assist with maintaining bedding plants around MHS. This course may be taken toward fulfillment of the 3rd credit of Science required for graduation. Student will also be eligible to apply for College Credit for this class at any State Institution that offers an Ag Business/Greenhouse or Plant Science program. Students will apply principles of botany, dendrology and silviculture to the management of forests and forest ecosystems. They will apply principles of timber cruising with surveying and mapping techniques to take forest measurements. Learners will develop the knowledge and skills necessary for forest reforestation, timber stand improvement, timber harvesting and forest product utilization. Learners will operate and maintain forestry equipment, apply fire management practices, and understand related regulations, laws, and policy issues. This course may be taken toward fulfillment of the 3rd credit of science required for graduation. Students in this class will learn what it takes to manage a crop production farming operation. Topics include identification of major agricultural crops, pests, combines, tractors, and other equipment used to produce the major grains which our world relies upon. Students will use knowledge gained in this class to help make decisions in managing the school farm. Satellites, GPS, computers, auto‐steer tractors, and the use of technology like this will be explored. Students will also utilize the FFA Chapter’s John Deere Gator to learn how to use the technology by driving simulations on the fields surrounding MHS. This course may be taken toward fulfillment of the 3rd credit of Science required for graduation. This course qualifies for college credit at any state school offering a crop science or plant science program. In this ÿirst course, students will learn the breadth of the Agricultural and Industrial Power Technology pathway. Students will learn the principles of power technology equipment systems which will include electronic and electrical systems, engines and fuels, hydraulic systems and powertrain components. Additionally, students will learn to safely operate and maintain machinery and equipment along with the principles of welding and metal fabrication. Students will diagnose, test and repair the electronic and electrical components found in industrial power equipment. Students will learn the physical principles of electricity and apply this knowledge in the maintenance, diagnostics and repair of electrical and electronic systems. Students will learn the physical and mathematical principles of electronics, controllers and sensors and will learn the operation of onboard computers and programmable controllers. Site and personal safety along with business and employability skills are emphasized throughout the course. Students will be building projects throughout this course. This course may be taken toward fulfillment of the 3rd credit of Science required for graduation. This class is a fast-paced hands‐on course in which you will rebuild a small engine. You will also disassemble and reassemble a large diesel engine. This class will combine both small engines and diesel Mechanics. You will be working primarily with large agricultural engines in a shop setting. This course may be taken for the 3rd credit of Science required for graduation. Students will learn to diagnose, repair and rebuild hydraulic systems and their components. Students will learn the physical and mechanical principles of both hydraulic and hydrostatic operating units. Topics include testing system components and properly maintaining hydraulic and hydrostatic circuits. Students will demonstrate contamination control and system cleanliness in both hydraulic and hydrostatic operating systems. Throughout the course, site and personal safety procedures and business practices are reinforced. Students will design and build projects throughout this course. This course may be taken for the 3rd credit of Science required for graduation. Students will perform technical skills needed to maintain, diagnose and repair outdoor power equipment. Students will learn the theory of power and examine the aspects of repairing various engines, drive trains and ancillary systems that make up modern small engines, electrical and fuel systems. Throughout the course, site and personal safety procedures along with business principles will be emphasized. Students will be working in the shop with multiple pieces of outdoor power equipment. This course may be taken toward fulfillment of the 3rd credit of Science required for graduation. Students will examine causes, symptoms, and treatment of common diseases with emphasis on developing preventative health management plans. Topics will include the study of pathogens, and classifying types of diseases and disorders. Students will perform animal health assessments and compare to standard characteristics. Throughout the course, students will utilize principles of technology to manage information systems, and research issues affecting the industry. We will be working with live animals as well as performing dissections in this course. This course may be taken toward fulfillment of the 3rd credit of Science required for graduation. Calling all pet owners! If you are interested in learning more about the proper care, management, and selection of companion animals like dogs and cats, then this class is for you! Topics covered include breed ID, anatomy, nutrition and health, handling, grooming, training, and responsible breeding programs. The class will also answer questions about animals raised for research purposes, and our role to ensure animal welfare in all aspects of pet ownership. We will be working with live animals as well as performing dissections in this class. This course may be taken toward fulfillment of the 3rd credit of Science required for graduation. Students will identify and apply principles of routine husbandry practices to production animal populations. Topics will include principles of nutrition, feed utilization, animal welfare, selection and management of facilities and herd populations. Students will apply knowledge of production animal care to enhance animal growth, selection of breeding stock, and management practices. Throughout the course, students will develop management plans reflecting practices for care and legal compliance. We will be working with live animals as well as performing dissections in this course. This course may be taken toward fulfillment of the 3rd credit of Science required for graduation. Students will learn causes, symptoms, and treatment of common diseases with special emphasis on developing preventative health management plans and breeding programs. 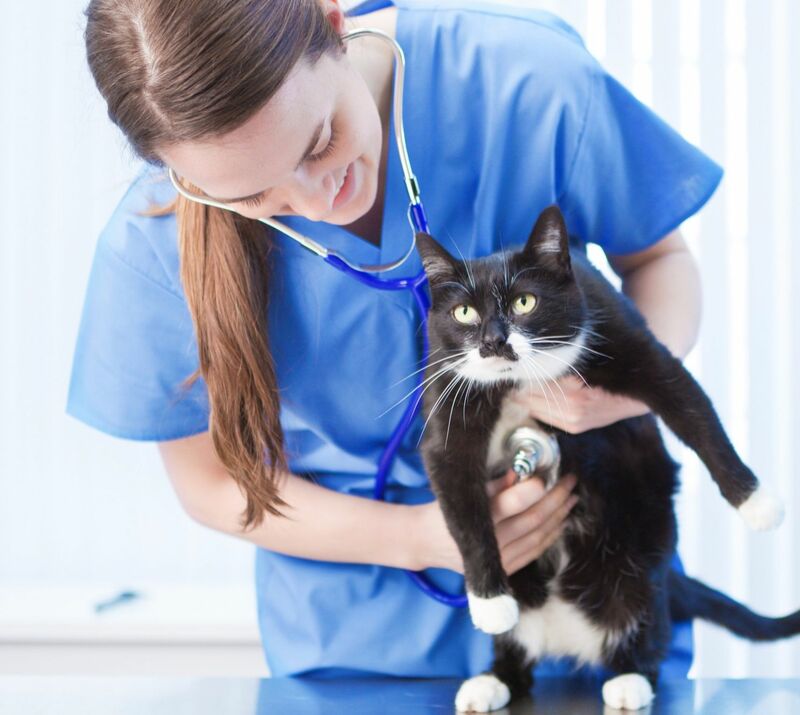 Topics include veterinary pharmacology, radiology and imaging techniques, principles of surgery, safe laboratory skills, and the concepts of ethics and professionalism in the workplace. Students will develop skills in inquiry and statistical methods. Throughout the course, learners will utilize principles of technology to manage information systems, and research issues affecting the industry. We will be working with live animals as well as performing dissections in this class. This course may be taken toward fulfillment of the 3rd credit of Science required for graduation. 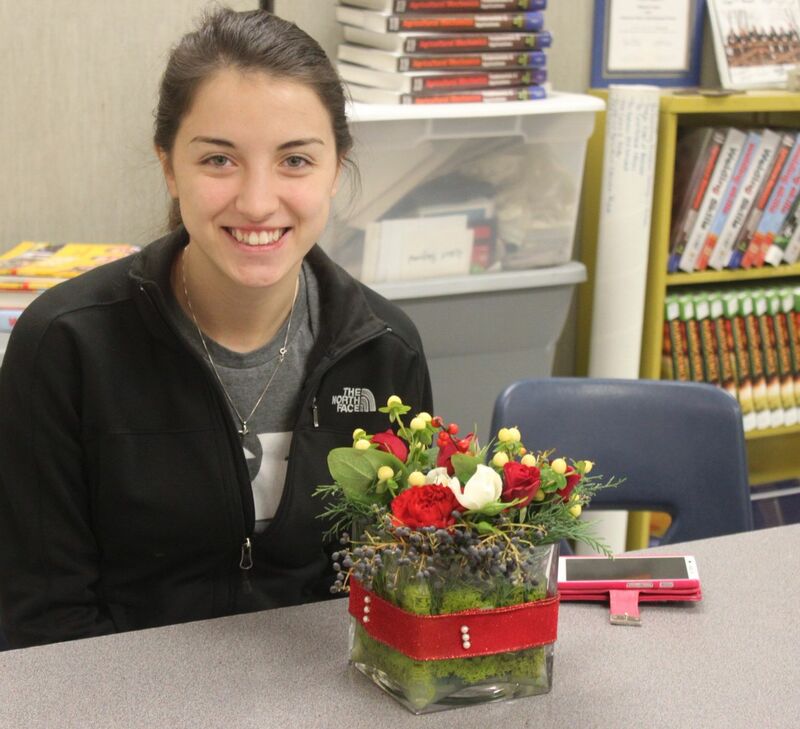 Students will use principles and elements of design to create various types and styles of floral arrangements with natural and artificial plants and plant products. Topics will include identification of ornamental plants and cut flowers, use of design materials, and storage and handling applications. Students will develop successful business, communication, marketing, and sale strategies for use in the floral industry. 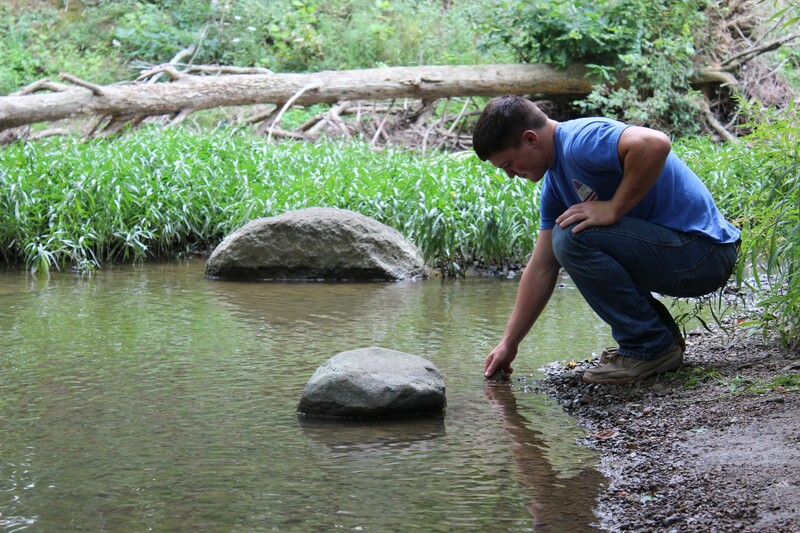 Learners will apply the principles and practices of resource conservation and management to fish and wildlife populations. Students will learn proper wild animal handling techniques, principles of wildlife nutrition, inventory practices, water quality parameters and testing, and natural and artificial propagation. Learners will apply principles of facility design and layout for managing fish populations. Throughout the course, learners will research and evaluate the impacts of various land practices, legislation, and human activities on habitats and populations. We will be working with Ohio Department of Wildlife Officials and be conducting projects that pressing in local wildlife conservation and preservation. This course may be taken toward fulfillment of the 3rd credit of Science required for graduation. The student will also be eligible to apply for College Credit for this class at any State Institution that offers a Natural Resources program. Students will examine elements of business, identify organizational structures and apply management skills while developing business plans, financial reports and strategic goals for new ventures or existing businesses. Learners will use marketing concepts to evaluate the marketing environment and develop a marketing plan with marketing channels, product approaches, promotion and pricing strategies. Throughout the course, students will apply concepts of ethics and professionalism while implications of business regulations will be identified. The student will also be eligible to apply for College Credit for this class at any State Institution that offers an Agricultural Business program. Learn how to run the day to day operations of a business. You will run the business side of the FFA, while building relationships with local companies. You will be taking an active leadership role in FFA and learn vital communication skills. Be ready to run your own business with the skills taught in this class. This class is for upper-level Ag students who have taken at least 2 Agricultural classes as a way for students to expand their learning. This class is more self‐directed in nature to allow for specialization for each student. To enroll in this class students must get instructor approval. Students will submit an application to AG Instructor to enroll.